Recipes - Hartke Is Online! Healthy Super Bowl Snacks to Wow Your Guests! Familiar tastes and flavor can make healthy Super Bowl snacks a hit with your kids and football fans. Follow the link in this post to some great recipes! Want a holiday dessert that guests will remember forever? 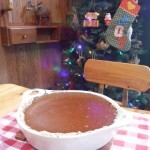 Try this best ever pumpkin pie recipe! The last in our Weekend Gourmet series of blog carnivals. Please submit one more recipe! Alas, I have decided this blog carnival will soon come to an end. But, join us for two more weeks of fresh and local recipes. Protect Monsanto Act moves to states and protesters stage an Eat In at the FDA for the consumer’s right to know!